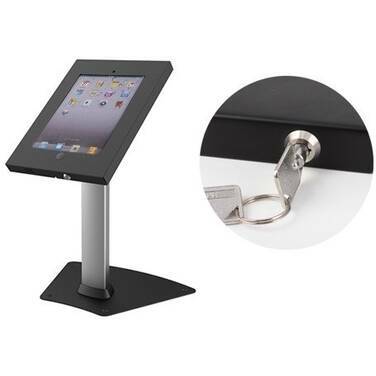 The Brateck BT-PAD12-04AL anti-theft metal iPad table stand is designed for securely displaying in the public with lick to prevent potential harms. ±45°tilting allows angle flexibility to face the large audience and avoid light reflection. 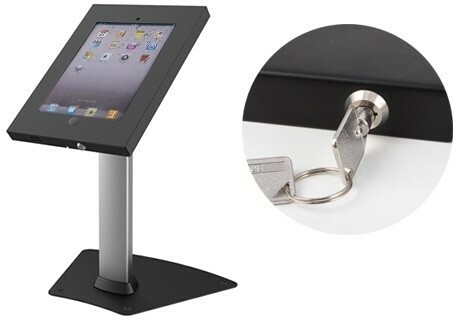 The iPad case is designed with home button, power cable and other ports available to satisfy extra operating needs. Power cable and other cables can run along the tube for better organizing.